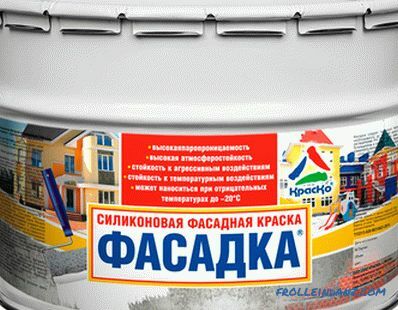 The use of paints in the construction, repair and solving design problems is extremely wide. 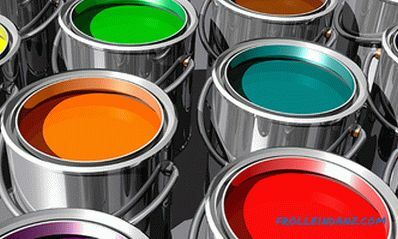 Manufacturers of paint and varnish materials have created hundreds of types of paints, varnishes and other coating materials that can be divided into several groups. Classification can be made according to various criteria - composition, type of base (film-forming substance), purpose, type of finishing surface. The whole variety of paints is based on several types of bases - liquids of complex composition, which after drying form a strong film in which uniformly all other components are distributed - pigments, UV-protectors, antiseptics, corrosion inhibitors, etc. 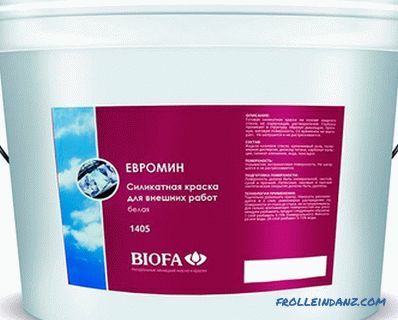 The film-forming base determines the majority of the performance properties of a specific paint, therefore, the most convenient classification is based on this feature. In turn, they are distributed by type of solvents, for example, oil, nitrocellulose, water-soluble, etc. But the first four classification groups are enough to determine the use of paint, its basic properties and opportunities. These types of paints are among the most environmentally friendly. The fact is that the basis for them is clear water, which, evaporating, does not harm anyone during work or in the drying process. The peculiarity of such paints is their internal structure - acrylic resins and their derivatives or polyvinyl chloride molecules do not dissolve in water, they are suspended in the form of emulsions or dispersions (tiny balls). After being applied to the surface, these balls are smeared over it, merge and form a monolithic film, mechanically strong and resistant to external influences of a different kind. After drying, the components of the film are indifferent to water and no longer dissolve in it. Some paints, however, can be washed off with the use of ordinary household products and warm water, but most of the water-based paints create surface coatings that can be easily washed, some even with light abrasives. Water-soluble emulsion, dispersion and latex paints are intended for almost all types of materials: brick, concrete, wood, drywall, putty and plaster, metal, plywood and fiberboard, chipboard, OSB. The difference between an emulsion and a dispersion is rather illusory - and one and the other state determines the mixing of two or more liquids that do not interact at the chemical level. That's why disperse and emulsion paints should be thoroughly mixed before use. On previously painted with glossy paints and varnishes, as well as difficult to finish the surface of glass, tile, ceramics should be applied with a certain caution - only if these materials are indicated in the instructions for a specific paint type. In most cases, emulsion paints are used to paint sufficiently porous materials. These paints can be used as a base for painting with alkyd paints and varnishes. All paints of this group are practically odorless, dry quickly and are fire safe. Emulsion paints are used for both internal and external works. But before you buy, pay attention to their purpose - using the interior paint for the facade, you can begin to re-finish after a few months. The main types of interior paints are acrylic, latex, polyvinyl acetate. Acrylic paints based on acrylic copolymers are less dense and allow the material to breathe. 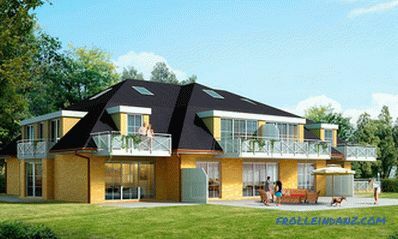 Although they are also applied to the dry material, the conditions for their use are simplified. Even if the putty or plaster has not completely dried, the paint will allow it to be done soon. 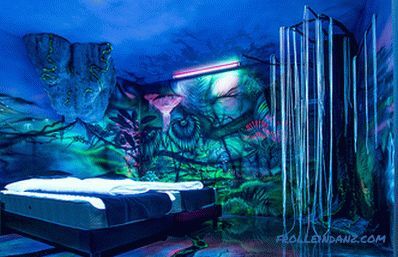 Latex paints are composed of rubber compounds besides acrylic copolymers, as a result of which they form a dense, durable film that can be washed several thousand times using cloth and soft brushes. Such compositions are used for wall decoration in wet areas, kitchens, facade works. 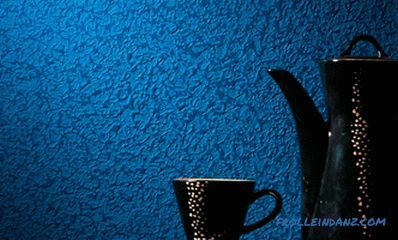 Look great on wallpaper, wood, metal, some brands of latex paints can be painted glass, tile, plastic. PVA-based paints (polyvinyl acetate) are used exclusively for interior work. The film formed by them, although very decorative, has a low density and is afraid of water and high humidity.Perfectly letting in pairs and providing free gas exchange, it nevertheless allows moisture to pass through. It can be used only in rooms with a dry and normal microclimate. Silicone emulsions and dispersions are based on silicone resins. They perfectly resist water, but at the same time, vapor-permeable. Exceptional elasticity allows the paint layer to withstand significant and rapid temperature drops and mechanical stresses. 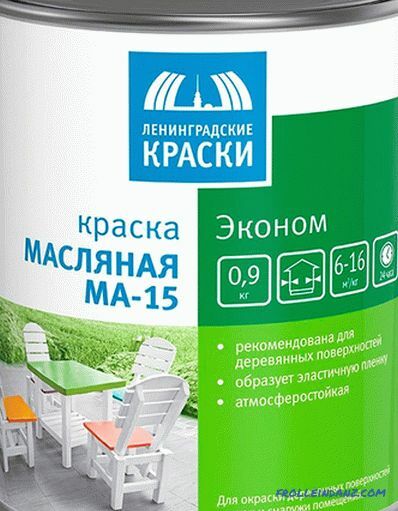 They have excellent adhesion to most mineral materials and metals, as well as to old coatings of any kind of paint. Their only drawback is the high price. In pure form, emulsion and dispersion paints are rarely found. Most often in one paint you can find silicone, and acrylic, and latex and several other polymers. From what component most comes from the name and determines the basic properties of the paint. The most common paints for exterior work and protection of outdoor surfaces. 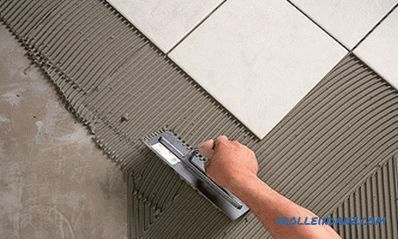 They are also widely used in interior decoration, in particular, for painting floors, steps and other surfaces that are under considerable mechanical loads. 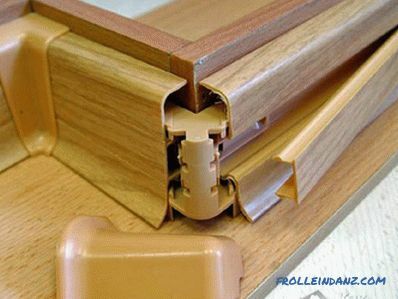 The main binder is an alkyd resin in various varieties. Solvents - linseed oil, white spirit, solvent other organic. After drying, they form very durable waterproof and chemically inert surfaces of varying degrees of gloss. A feature of such paints is that with many years of operation under the direct rays of the sun, they change color a little and can be covered with a network of microcracks. Oil paints or enamels can be made on the basis of alkyd resins. Oil paints based on alkyd resins are made using natural or synthetic drying oil. A distinctive feature is a long (up to several days) drying time. In this case, moderately toxic substances evaporate from the surface, as a result of which oil paints are used for work outside or in well-ventilated rooms. After drying, they form very durable coatings on all types of mineral materials, wood and metal. Not afraid of ultraviolet and water, very low vapor permeability. Enamel - almost the same composition, but with the addition of varnish. The result is a glossy or semi-glossy surface of high density, impermeable to moisture, which does not enter into chemical reactions and does not change colors for many years. Silicate paints are made on the basis of liquid glass and have unique properties. 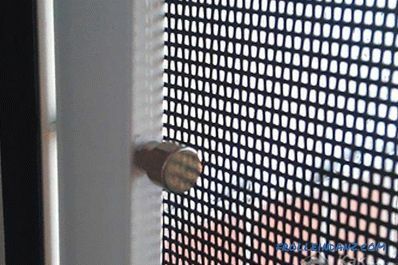 They have moderate vapor permeability, are resistant to temperature differences, but the surface layer is quite loose and does not protect against moisture penetration into the body of base material. 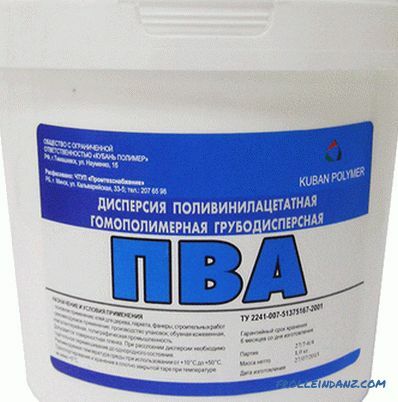 Usually used on plaster, as it easily transfers high alkaline environment. Metals and ceramics should not be painted with silicate paints, except for special heat-resistant compounds. They are similar in their properties and application to acrylic emulsions, but less resistant to moisture and suitable only for dry rooms. 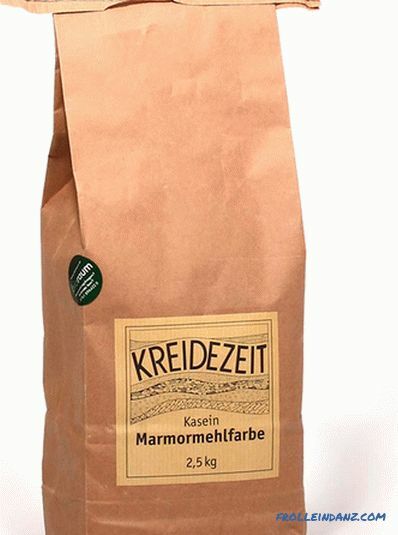 Usually sold as dry mixes, which are diluted with water before use. In rooms where even a short-term increase in humidity is possible, the walls should be treated with antiseptics and anti-mold preparations before painting. According to the varieties of glue, they can be divided into casein and dextrin. Casein paints. They are distinguished by a rather high strength of the coating layer and are suitable even for facade work. 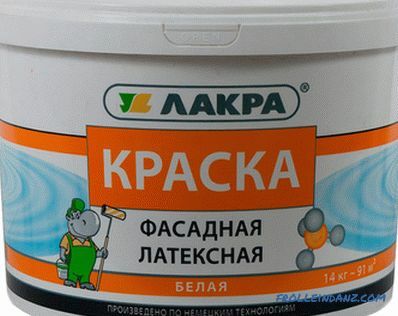 Dextrin Paints. Designed for interiors, they do not tolerate high humidity, but under normal operating conditions are quite durable and comfortable. Recently, acrylic and latex compositions have almost completely replaced both casein and dextrin from everyday use. When choosing types of paints for exterior works and interior finishes, you should not lose sight of special-purpose compounds, among which are structural, capable of creating an unusual surface texture and a complex shade, and decorative paints imitating various types of natural and artificial materials. 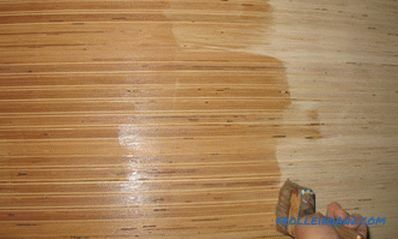 After coating such primed smooth surface with such paints, a relief film of high strength is obtained. It can be rough, look like a tree struck by beetles, mimic water ripples, or be covered with a more complex three-dimensional pattern. Such paints, after drying, may additionally be coated with acrylic or latex paints or translucent azure. But usually they are tinted in full and themselves play the role of color decoration. 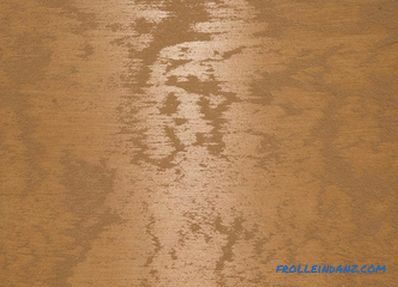 Decorative paints are intended to create imitation surfaces for: old wood, leather, silk, matting, natural stone. Often they create a metallic or pearly luster, iridescent overflow. Different types of special inks also allow you to create some innovative effects, for example, fluorescent lights in incident and reflected rays from outside sources, and phosphorescent ones are the source light, giving away the accumulated energy per day in the form of a dim glow for several tens of minutes. Gradually, paints with various flavors become fashionable, but they can be considered exotic - the smell persists for only a few days after painting. Also, magnetic paints are not too common, and after drying, they behave like metal surfaces, but only with respect to decorative magnets. A very convenient and practical index and notation system has been developed that allows you to determine the type of paint and its basic properties at a glance. These most common formulations are shown in the table. The most common formulas are highlighted in bold, which have to be dealt with both in professional construction and in household repairs. The numbers immediately after the letter index are also of equal importance. The first figure indicates the scope of application of paint, the numbers following this is the serial number. 4 Not damaged by hot water. 6 Resistant to fuels and lubricants. 7 For use in aggressive environments. Oil paints (MA) also have an additional digital index indicating the type of solvent. 5 synthetic and combined composition. do not emit toxic substances. When choosing paint for interior or facade finishing, as well as painting other structures, first of all, it is necessary to focus on the sphere of application of paint and its compliance with operating conditions. 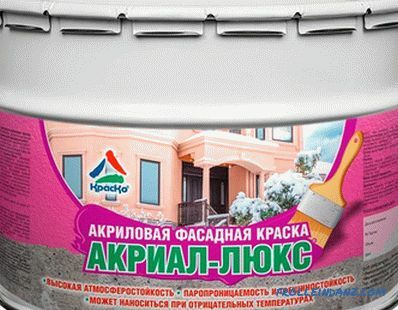 When choosing a composition for previously painted surfaces, it is necessary to make sure that it will not enter into undesirable reactions with the previous coating layer. 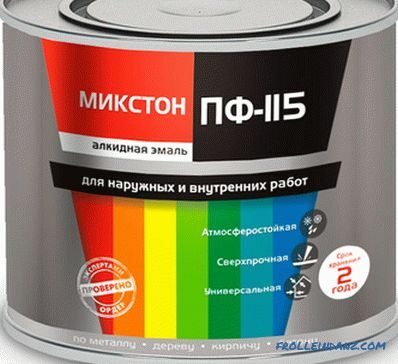 In the event of a conflict of components, it is necessary to find another paint that is more suitable for work. Then, with equal parameters, at the manufacturer. The modern market is saturated with colors, but there are not so many qualitative ones among them. It is best to buy products of famous brands, even if its price is slightly above average.